"SMILED WHOLE WAY THROUGH!!!!!!!!!!!" 7 years ago by SO SO SO COOL! Nothing better than seeing the castle lit with 200,000 LEDs, all syncronised to a 5 minute long show. Not to be missed! 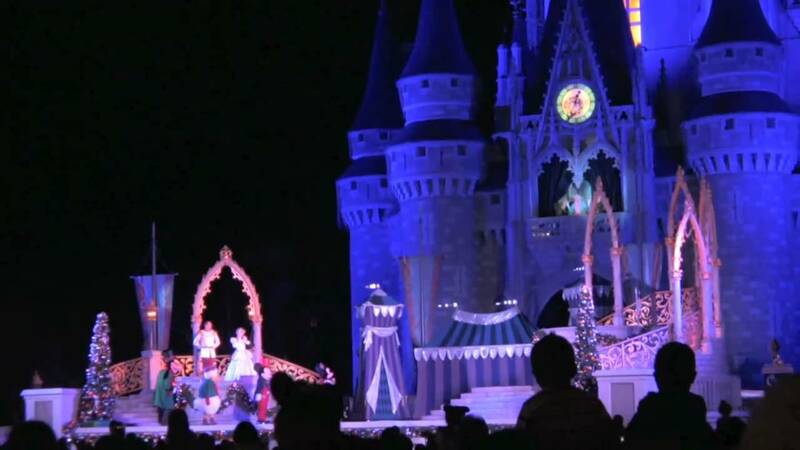 200,000 tiny white lights cover Cinderella Castle in the Magic Kingdom in a dazzling light show performed nightly during the holiday season. Nov 4 and 5 - 7:15pm, all other shows at 6:15pm. Sign language interpreted performances on Mondays and Thursdays. November 7 - January 2 2011. November 10 - December 5 2009. To transform Cinderella's fairytale castle into a magical ice palace it took.